Are you a concerned Insurance Company, Bank, Credit Union, Accountant, Government Agency, Auctioneer, Transportation Company / Trucking Company, or individual needing to locate a certified auto appraiser with the IACP credential? Our IACP Certified Auto Appraisers have experience appraising fine automobiles as featured in Hemmings Motor News, Barret-Jackson Auction Company, Bonham’s, The Branson Auction, Gooding & Company, Leake Auction Company, Mecum Auction Company, RM Auctions, Russo and Steele, & Worldwide Auctioneers; --- Antique, Veteran, Vintage, Post-Vintage, Classic, Post-Classic, and Modern cars including --- Italian Cars, British Cars, German Cars, French Cars, European Cars, American Cars, and Restoration Inspections for Legal and Certified requirements such as: Investment Appraisals, Insurance Claims, Total Loss, Auto Damage Estimates, Auto Accidents, Stolen Vehicles, Bank Loans, Pre-Purchase Inspections, Court Ordered Appraisals, Actual Cash Value, Divorce Appraisals, Estate Appraisals, Probate Appraisals, Manufactures Defects, and Lawsuits. 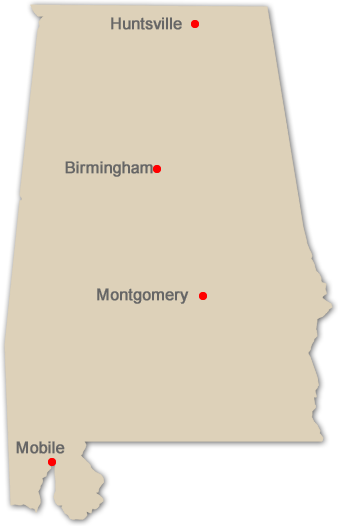 *Our Insurance Adjusters are Licensed in accordance with your states requirements, USPAP Compliant, and are Certified in accordance with the Bureau of Certified Auto Appraisers. 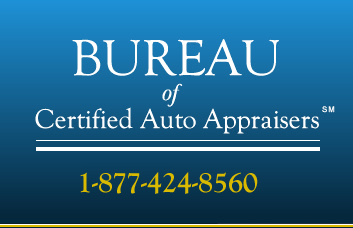 The Bureau of Certified Auto Appraisers (www.BOCAA.org) is a National Professional Appraisal Credentialing Organization (NPACO) as recognized by the IRS & US Department of Treasury: Sections §1.170A-17(b) and 170(f)(11)(E), as added by the Jobs Act and amended by section 1219 of the Pension Protection Act of 2006, Public Law 109-280 (120 Stat. 780) (PPA) for written examination, testing, education and experience requirements for the qualification of IACP Certified Auto Appraisers Worldwide.